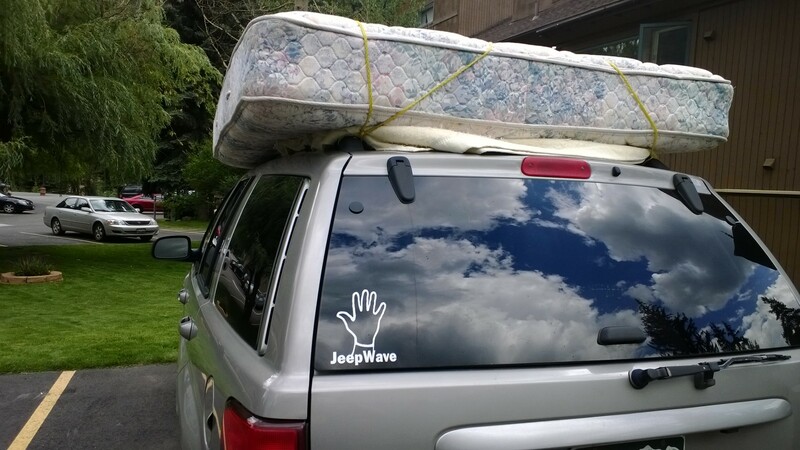 It was recently moving day for us here at jeepwaves.com. No, not moving the site anywhere, but actually, moving. FUN! As if we needed another reason to love the Grand Cherokee, we were continually amazed at just how much fit inside (and on top of) the Jeep. Sure, we got a few strange looks driving down the road Clampett style, but we got it done! Anyone else moved in a Jeep? Got any good stories? Leave a Comment on Moving Day!